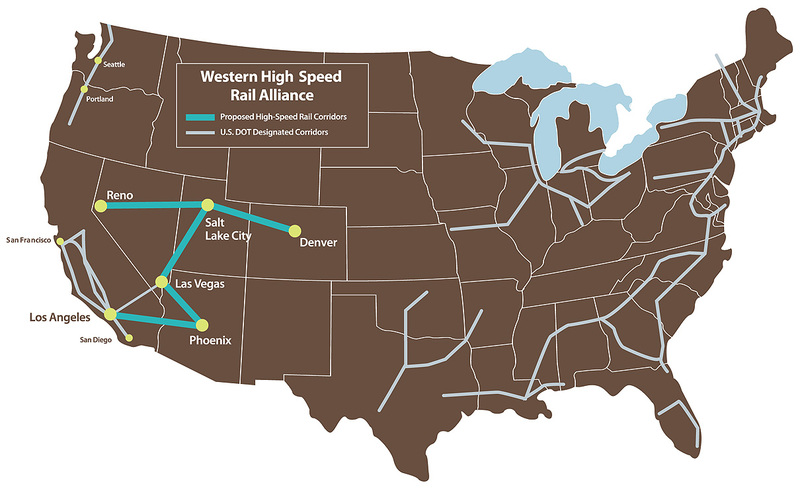 The purpose of the Western High Speed Rail Alliance is to determine the viability of and promote a network to provide high speed rail connections throughout the Rocky Mountain and Intermountain West regions with eventual possible connections to the Pacific Coast and other areas of the United States. The U.S. Congress and President Obama have made high-speed rail (HSR) a key component of our nation’s transportation future by including $8 billion for HSR in the American Recovery and Reinvestment Act of 2009 (ARRA). The president has committed to request $1 billion a year for the next five years for HSR in the budgets he will present to Congress. This presents the West with an opportunity to invigorate our economy, create thousands of jobs, and improve our environment and our collective quality of life. Today’s intercity passenger rail service consumes one-third less energy per passenger mile than cars. It’s estimated that if we built high-speed rail lines on all federally designated corridors, it could result in an annual reduction of 6 billion pounds of CO2. Eurostar, a high-speed railway passenger service connecting London with Paris and Brussels, found that the environmental benefit of taking the train instead of a plane is probably much greater than 90 percent. 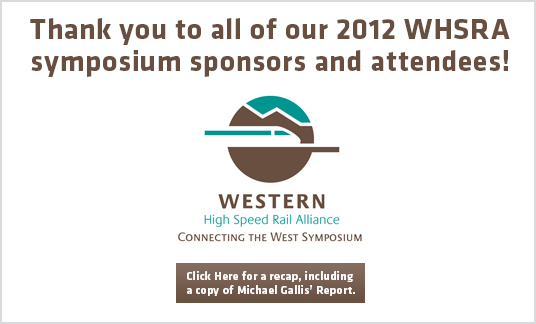 Learn more about high-speed rail development in the western U.S. Discover the many benefits provided by high-speed rail projects. Read the latest news about high-speed rail development in the western U.S.